Book your tickets for a not-to-be-missed event aimed at empowering women and networking. Keen to live your best life? 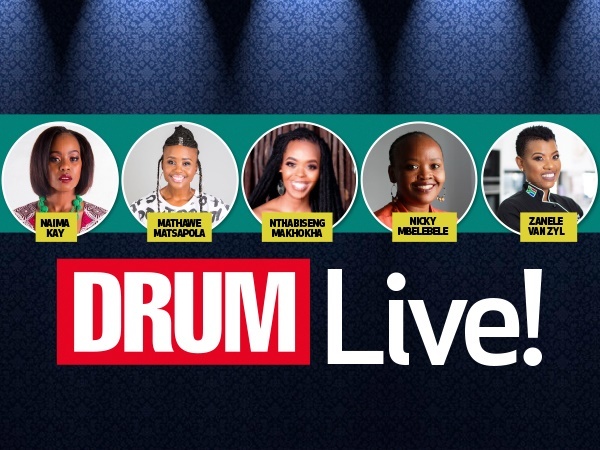 Don’t miss out on DRUM Live! The lifestyle event is geared at everyday women who would love to network and create a balanced, fulfilled life. Invite your girls and make it the ultimate “me-day”. DRUM beauty editor Nthabiseng Makhokha will give you tips to achieve your glow-up and help you boost your beauty routine on a budget. Stuck on money matters? Find ways to bank better in this tough economy and make your money go further with expert tips from Capitec Bank. Guests will be treated to performances by talented songstress Naima Kay, while you mix and mingle with other readers and members of the DRUM team. Sip on the finest selection of Delush wine on offer– renowned for an assortment of decadently delicious wines. Delush is sophisticated, ambitious, independent and bold. The perfect combination for our readers. Come mix it up with your girls – here’s to helping you achieve the ultimate glow-up! PRICE: R250 you can purchase your ticket at Computicket.